If you’re thinking about having a fence installed on your property in Randolph, New Jersey, then a PVC fence should be at the top of your list. PVC fencing, also known as vinyl fencing, is not only a highly affordable and durable fencing option, but it is also beautiful and will enhance your home’s curb appeal. However, not all vinyl fencing is of equal quality. To ensure you receive the maximum value for your investment in a PVC fence, turn to Northern New Jersey’s highest rated fencing company – Virtue Fence. At Virtue Fence, we’re proud to offer vinyl fencing with best-in-class features from respected manufacturers, such as Interstate Visions, Country Estate Fence, and others. Available in a wide array of colors and styles, PVC fencing can be tailored to your unique tastes and property. This style versatility also makes PVC fencing suited to many different applications, such as enclosing a pool, keeping pets in your yard, or getting some privacy from the neighbors. Additionally, your PVC fence will also be incredibly durable and flexible, ensuring that it can withstand the high winds, ice, rain, and intense sun that we experience throughout the year. Plus, vinyl doesn’t absorb moisture, so it will never swell, rot, blister, or peel. And, our vinyl fencing requires minimal upkeep to maintain its like-new luster. Not only will washing your PVC fence be as easy as spraying it down with a garden hose, but you’ll also never have to deal with the tedious task of painting, staining, or sealing, as the fence’s color is formulated directly into the vinyl material. When you partner with Virtue Fence, we’ll go above and beyond to ensure you have a great experience with us from the initial consultation through the installation. We’ll work with you to ensure your new PVC fence is built in accordance with your specific needs and aesthetic preferences, and we’ll have only trained and experienced technicians handle the installation to ensure outstanding results. We’ll even provide a three-year workmanship warranty to provide you with additional peace of mind. 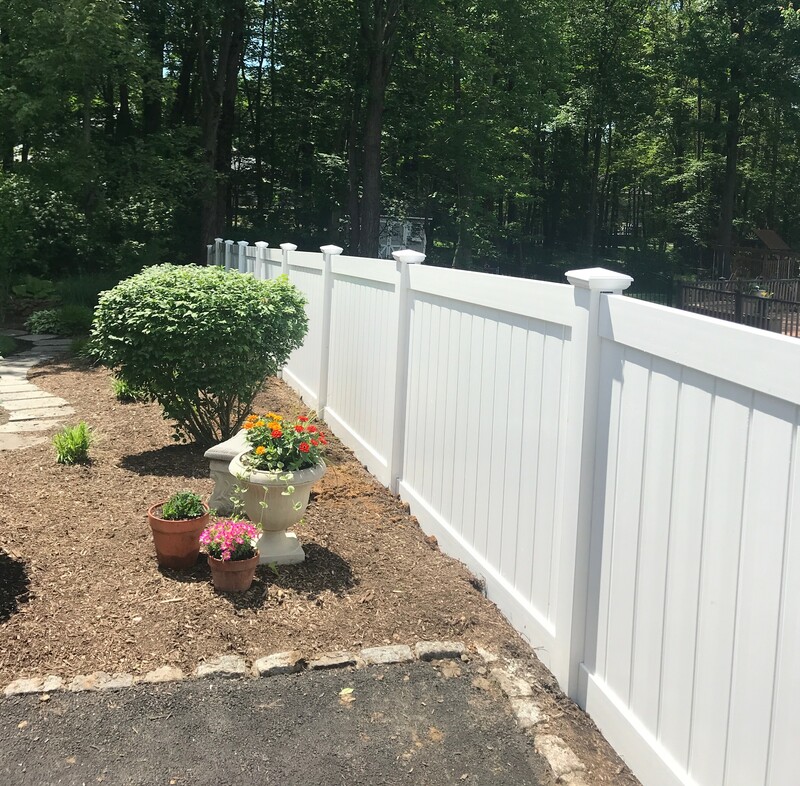 For more information about the benefits of having Virtue Fence install a PVC fence on your property in Randolph, NJ, contact us today.